Size: 12x12 in. (1/2 in thick) Approx. 1 piece/sq. ft. Sold by the box. Classic pebble tiles are made from natural Indonesian stones. With aesthetically pleasing shades and colors these 12x12 in. tiles interlock to create a seamless surface. Other companies create jumbled and uneven tiles using pebbles of all size and shape. 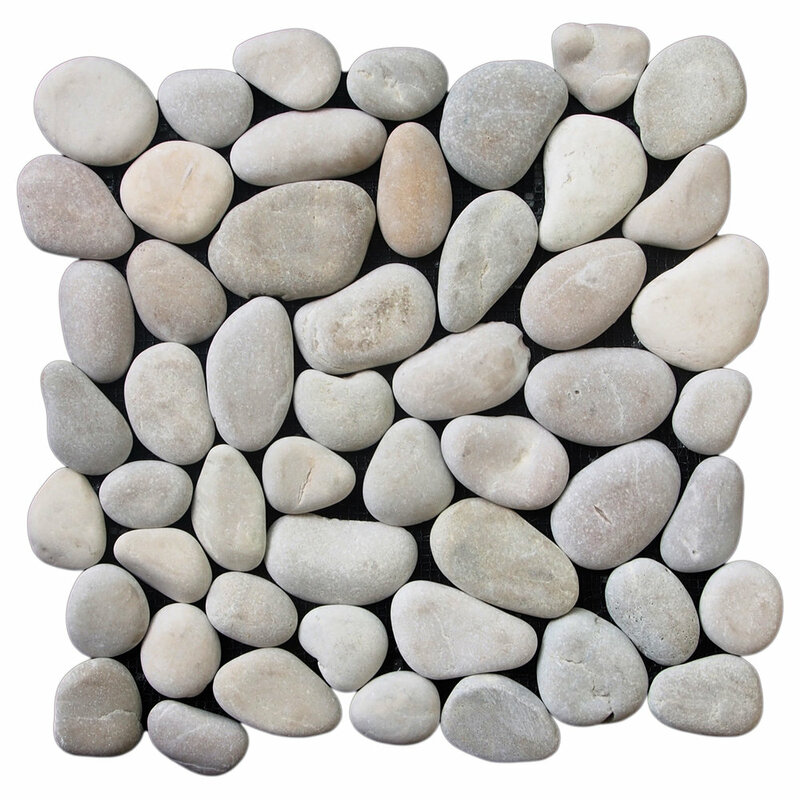 We carefully choose the best looking pebbles and then slice them on the back to create an even surface for easy installation and a superior finished appearance.